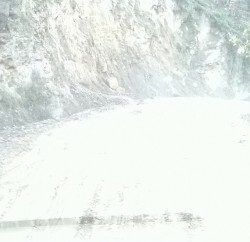 Chief Minister Virbhadra Singh today said that the old Hindustan- Tibet road in Kinnaur district would be restored for vehicular traffic. This road would be broadened for running bus services to ensure transportation facility to the people of the district round the year. 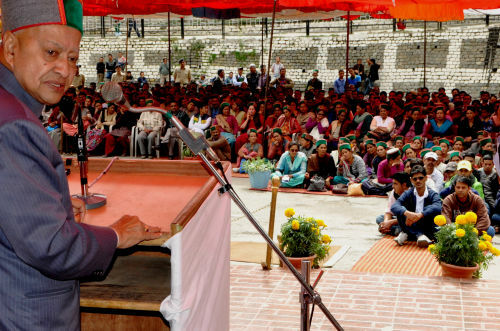 Chief Minister was addressing a public meeting at Reckong Peo. 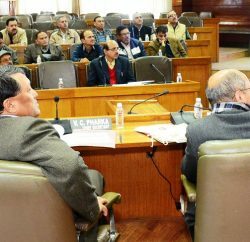 He said that State government had provided every possible assistance to bring back normalcy in the district which suffered huge losses due to heavy rains and floods in the monsoon season. He said that government also ensured timely supply of essential commodities to the district through helicopter during the period of natural disaster. He said that government ensured that there was no shortage of funds for the restoration and relief works in the district and the roads were restored on war-footings. He directed the public works department to carry mettaling and tarring works on priority in the district. Virbhadra Singh said that government would provide suitable land to rehabilitate the families who had lost their houses in the natural calamity. He asked all PRI functionaries to lend support to the Revenue department to identify the cases who needed to be compensated. Chief Minister said that the damaged portion of the Thakur Sen Government Degree College in Reckong Peo would be replaced by a light weighted hi-tech structure. He announced Rs. 3 crore for construction of new structure of the college. Member of Parliament, Pratibha Singh thanked the Chief Minister for his four-day tour of the tribal districts and resolving the public grievances on the spot. She said that effective steps would be taken to help the people of sinking Pangi village and she would also take up the matter for financial help with the Prime Minister of India. 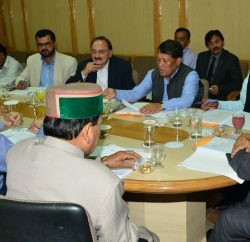 Deputy Speaker and local MLA Jagat Singh Negi apprised the Chief Minister about the various steps being taken as relief and rehabilitation measures in the natural calamity hit areas of the district. He also thanked the Chief Minister for giving pace to the developmental works in the district. Chief Minister also listened the public grievances and directed the district administration for their timely redressal. Virbhadra Singh also addressed a public meeting in Pooh late Saturday evening and reiterated his government’s resolve for speedy development of the tribal areas of the State. He announced to provide Rs. 40 lakh for construction of a stadium at Pooh. He said that survey would be conducted for providing sewerage system in Pooh. On the demand of local Gram Panchayat, he directed the Irrigation and Public Health department to conduct survey for irrigation scheme. MP Pratibha Singh said that the matter of setting up of BSNL tower in the area would be taken with the Government of India. Deputy Speaker Jagat Singh Negi detailed the developmental works being carried in the district. Advisor to the Chief Minister, T.G Negi, Principle Secretary to the Chief Minister, V.C Pharka, Deputy Commissioner Capt. J.M Pathania, representatives of the PRI’s and other prominent people of the area were present on the occasion.